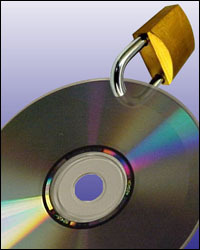 Legal & Anti-Piracy Information about your DVD, CD, Video, or Audio Duplication/Replication Project - HAVE, Inc.
HAVE is required to verify that all incoming orders are authorized for replication or duplication by requiring the client to complete and sign an Intellectual Property Rights Form for each incoming video, CD-ROM, CD-Audio, audio cassette and DVD order. In addition, for audio cassettes and discs, the party seeking replication is required to provide a track listing which clearly outlines the title and duration of each track, the artist who wrote the words/music to each track, and the person, group or label that owns the rights to the performance(s) on the disc. Because of our compliance with the IRMA standard, HAVE must require all clients to submit with each new order (as well as with any reorder for which licensing has not yet been provided) a completed and signed Intellectual Property Rights Form and any additional licensing documentation required as per the instructions of the IPR form. Please also remember that the IPR form must be completed and signed by the party seeking replication or duplication and not by an intermediary or broker. If you have any questions at all regarding the program, or if you would like further explanation of the requirements, feel free to contact Pamela Mixa-Cranna at 888-387-4207 x 255 or pcranna@haveinc.com. Adherence to the IRMA Anti-Piracy standard is a sign of HAVE's continued commitment to professional customer service and development as a provider of duplication and replication services. Thanks for your business! A completed, signed IPR (Intellectual Property Right) Form is required for all new orders. If the party seeking replication or duplication does not own all the content on the master, additional licensing must also be provided. You may use this template when seeking permission to use another party's intellectual property in your duplication/replication project if there isn't a formal agreement in place. This template must be transferred to the content owner's letterhead and be signed by the content owner or representative of the content owner's company.